If you have an urgent memo and requires immediate attention, what better way to deliver it than the ninja way? 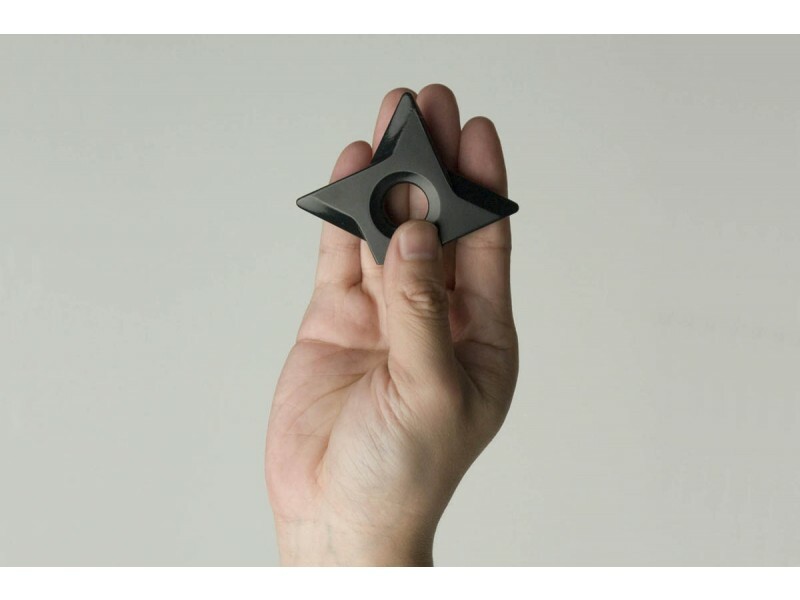 In the old days, delivering secret messages was an important mission for ninjas, and the most impressive weapon they used was definitely the mysterious shuriken. 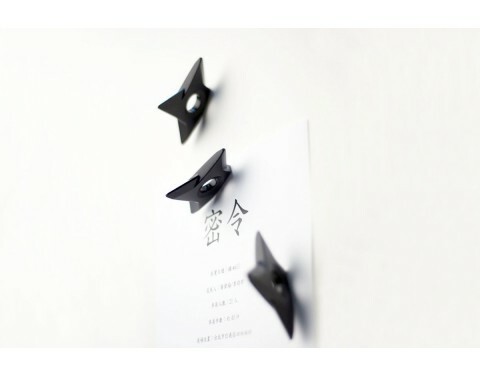 This product connects the connotation of shuriken and secret mark to imply that an announcement always carries important message. 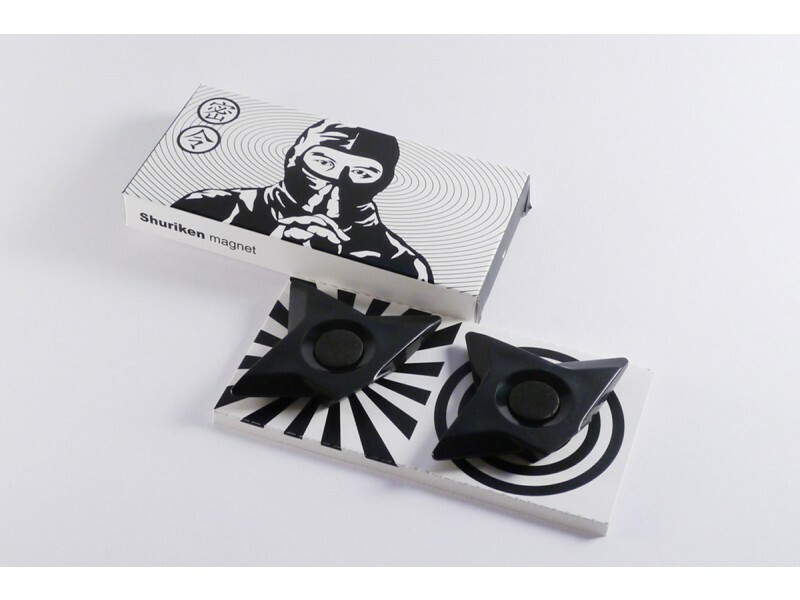 Although there are no ninjas nowadays, the ninja spirit can live on at your own home! 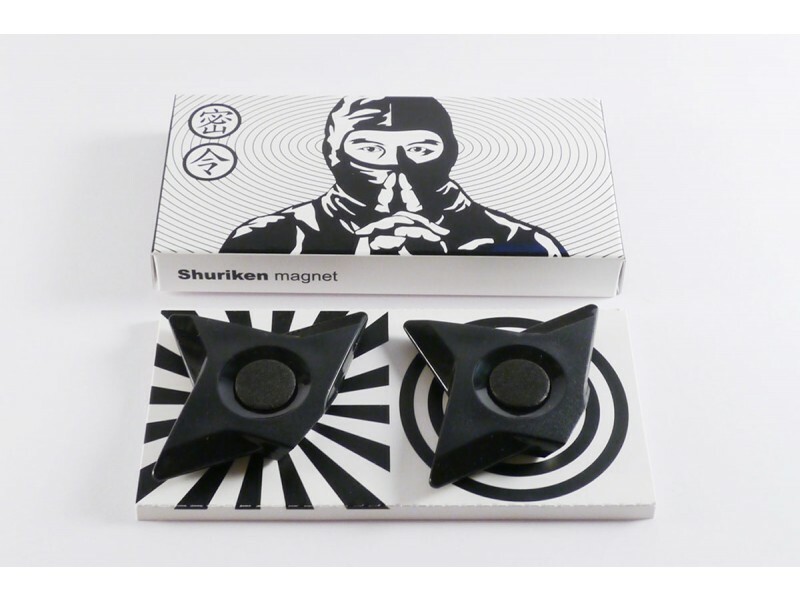 Each set comes with 2 Ninja Shuriken Magnets in a ninja style package. Dimensions: H 0.76 x W 7.6 x D 5.6 cm.